Much has been made about the 15 point IQ gap between American blacks and whites, but much less is known about the far greater 70 point IQ gap between the most prosperous 0.00001% of Americans (currently self-made decabillionaires) and poorest 0.09% of Americans (currently the homeless). The 70 point IQ gap was first discovered by Pumpkin Person in February 2016, citing studies showing the average homeless American has an IQ of about 80 (U.S. white norms) and the average American self-made decabillionaire has an IQ perhaps as high as 150. According to the American Psychological Association, the heritability of IQ is 0.75 by the late teens. The square root of the heritability implies an astonishing 0.86 correlation between IQ geneotype and IQ phenotype. Note, this correlation is for adopted people, used in heritability studies to separate the effects of genes from environment. The genotype-phenotype correlation among ALL Americans might be even higher than 0.86 because among the non-adopted, good genotypes tend to be raised in good homes. 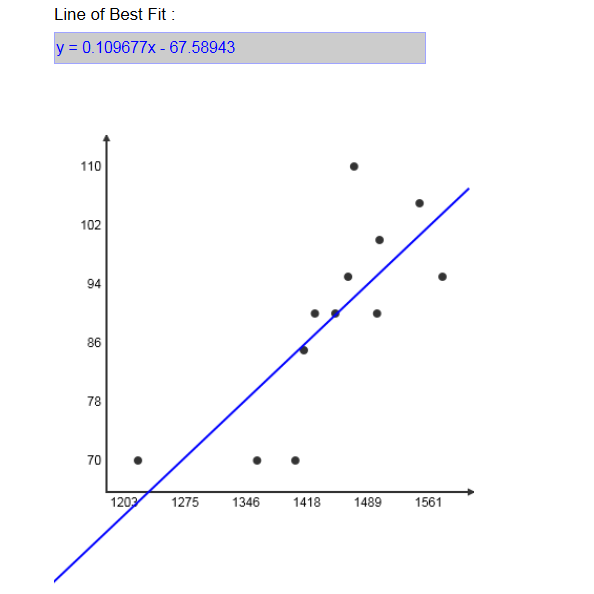 Assuming a 0.86 correlation between genetic IQ and phenotypic IQ, the 70 point IQ gap between the richest and the poorest implies a 0.86(70) = 60 point gap in genetic IQ between these two financial extremes. The idea that there could be a 4 standard deviation (SD) gap in genetic ability between the richest and poorest Americans is devastating news to female social science PhDs who subscribe to the notion that we are all a product of society, not our inherent individual merits. But commenter “Mugabe” has argued that IQ heritability estimates are misleadingly high because even the best studies (those of identical twins raised apart) seldom, if ever, compare people born and raised in different countries, so we don’t know if the genetic effects are environment independent, or if both were reared in a different country or different generation, the homeless genotype might have had a higher IQ (or more money) than the self-made decabillionaire genotype. This is known as the “reaction norm” argument. However at least a big chunk of the 70 point IQ gap is caused by independent genetic effects. For example, the 0.33 correlation between IQ and brain size implies the average self-made deca-billionaire has a brain 1.54 SD bigger than the average homeless brain, and even “Mugabe” agrees that physical genotypes are much less sensitive to reaction norms than psychological ones, and scholar Arthur Jensen notes that the preponderance of evidence reveals g (general intelligence) to be an ENTIRELY physiological trait, not amenable to psychological manipulation. The difference between the average homeless person and the average self-made decabillionaire start early in life. According to Wikipedia, a typical self-made deca-billionaire like Sergey Brin Brin was born in Moscow in the Soviet Union, to Russian Jewish parents, Yevgenia and Mikhail Brin, both graduates of Moscow State University (MSU). His father is a mathematics professor at the University of Maryland, and his mother a researcher at NASA‘s Goddard Space Flight Center.. In honor of Halloween, I will use Michael Myer’s from Rob Zombies Halloween series as the example of a typical homeless (Myers was hard-core homeless in Zombie’s Halloween II). He was born to a stripper mother and a dead father, and raised in a white trash middle American home. According to Wikipedia, “Brin attended elementary school at Paint Branch Montessori School in Adelphi, Maryland, but he received further education at home; his father, a professor in the department of mathematics at the University of Maryland, encouraged him to learn mathematics and his family helped him retain his Russian-language skills”. By contrast, young Michael Myers spent his childhood upstairs in his bedroom, wearing a clown mask and killing his pet rat, while his stripper mother and her white trash boyfriend, argued violently downstairs. So even by the age of ten, you could tell that Brin and Myers were destined to have very different lives. Wikipedia tells us that as a young adult Brin enrolled in the University of Maryland, where he received his Bachelor of Science from the Department of Computer Science in 1993 with honors in computer science and mathematics, which is part of the University of Maryland College of Computer, Mathematical, and Natural Sciences. By contrast, Myers’s education ended in the fifth grade, when he was confined to a mental hospital for brutally murdering his classmate, his slutty sister, her boyfriend, and his mom’s drunken boyfriend. While Brin was getting his advanced degrees, Myers was rotting in a cell, not speaking, just making primitive paper mache Halloween masks over and over and over again. By his 30s Brin was a self-made billionaire. By Myers’s 30s, he had escaped from a mental hospital, went on a massive killing spree, and after falsely being declared dead, spent the rest of his life roaming the fields of Haddonfield, Illinois as a homeless man, eating dogs to stay alive. While Brin advances even his ethnic genetic interests by generously donating to the Hebrew national Immigrant Aid Society, Myers destroyed his immediate genetic interests, by killing his older sister, and getting himself and younger sister shot by the police. Three generations of black female Genius. One incredible movie. In honor of Halloween, I wanted to blog about one of the best horror films ever made: Beloved (1998), a labor of love that brought together three of the greatest black female minds of three generations: Toni Morrison, Oprah Winfrey, and Thandie Newton. It all started in the 1980s when the World’s biggest brained black, and biggest brained woman, Oprah Winfrey relaxed one afternoon by reading Toni Morrison’s novel Beloved, a book so narratively complex it’s been deemed too difficult for university undergrads and is typically only read at the PhD level. And yet the richest African American of all time, finished it in a single sitting, and understood it on such a deep level that she started weeping and immediately decided to phone Morrison. Her large brain size not only gave her the cognitive brain mass to understand it, but the emotional brain mass to FEEL it on a deep level. She felt compelled to reach out to the author but Oprah didn’t know her and her number wasn’t in the phone book. But the big brained star adapted by phoning the fire department in Morrison’s town and they gave Oprah Morrison’s home phone number. “What is this? What is THIS Beloved? What is this?,” she stammered. “That my Dear, is called reading,” replied the haughty Morrison. “I must make this a movie,” explained Oprah. “How are you going to turn this into a movie,” laughed Morrison. When it came time to buy the movie rights for the book, Oprah told her agent to give Morrison however much money she wanted. “That’s how this will work,” explained Oprah. Despite emerging as the World’s ONLY black billionaire in 2004 (excluding a Blarab hybrid in Saudi Arabia and a Canadian Blasian hybrid), Oprah has never considered herself a business woman and to Oprah, purchasing the rights to a book as profound as Beloved was a spiritual transaction, not a business one. Once Oprah had the rights to Beloved, finding a director who would bring it to the screen proved incredibly difficult. One of the first people she reached out to was Jodi Foster who had famously written her Yale thesis on Beloved, but Foster was uninterested, claiming Beloved was far too literary a novel to ever be a movie. When Oprah finally did find a director willing to make it, he wanted Oprah to audition for the lead role. After ten long years of searching, director Jonathan Demme (famous for Silence of the Lambs) agreed to take on the project and Oprah used her status as the World’s most influential woman to get a major studio to invest $80 million into such a non-commercial art-film (a colossal amount of money, especially in the 1990s). Inspired by a true story, the film stared Oprah as Sethe, an escaped slave who decides to slit the throat of her own baby rather than allow it to grow up in slavery. Many years later, the dead baby named Beloved, comes back from the dead (physically now an adult, but mentally still a baby) to live with Sethe. The role of Beloved is brilliantly played by Thandie Newton, who like Oprah and Toni Morrison, is one of the most intelligent black women of her generation. Born to an African mother and White British father, Newton aced her A level exams and attended Cambridge university. She was initially skeptical that Oprah, who had little acting experience, could handle a character as complex as Sethe. And I loved the simple mindedness of the characters, which really rang true given what the Flynn effect tells us about 19th century IQ scores, especially 19th century black IQ scores. And yet when the film was released, it’s complex non-linear narrative structure and abstract themes proved too difficult for critics and movie goers. The film was considered a box-office flop, losing out to low-brow trash like The Bride of Chucky. And because everything Oprah touches is supposed turn to gold, the film’s failure was especially stinging. Despite the film’s poor profits and mixed reviews, it remains one of the most beautiful and original horror films ever made. According to scholar Richard G. Klein (see video below), by about 50,000 years ago, a major change had occurred in human behavior (described as behavioral modernity, the great leap forward, or the mind’s big bang). Suddenly, the number of artifacts humans could make had exploded, suggesting an increase in behavioral plasticity. According to Klein, before 50,000 years ago, virtually everyone thought you could only make artifacts out of stone. After 50,000 years ago, they suddenly realized you could use bone, ivory, antler or shell. Before 50,000 years ago, people didn’t spatially organize their living areas. In other words, they would cook, clean, eat, etc, everywhere in their living space. After 50,000 years ago, people suddenly realized they could divide their space into a cooking area, and eating area, a cleaning area, etc. Before 50,000 years ago, humans buried their dead only to dispose of the corpse. After 50,000 years ago, burials suddenly became ritualistic and ceremonial. Before 50,000 years ago, humans didn’t produce art. 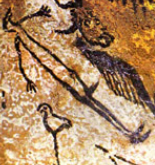 After 50,000 years ago, art becomes common. Before 50,000 years ago, humans didn’t fish and their hunting techniques were less efficient. After 50,000 years ago fishing becomes common and hunting becomes efficient. How do we explain this? It’s not as if we suddenly evolved into a new species 50,000 years ago. Indeed in another youtube video, Klein tells some university students that if a human from a 100,000 years ago walked into the university lecture hall, you wouldn’t notice anything different about them. The only you thing he said might notice is that person’s really well built. However Klein believes that sometime around 50,000 years ago, a genetic mutation occurred that suddenly made humans so much smarter allowing them to rapidly spread out of Africa and replace all the other living “humans” so completely. Klein is not the only one who believes something like this. Geneticist Spencer Wells says in his TED talk (see the 14 minute mark of video below), that from 1 million years ago, to about 65,000 years (a similar date to Klein’s 50,000 BP, though some scientists put the date as early as 80,000 years ago), there’s a long period of cultural stasis where stone tools and other artifacts shows virtually no improvement. Then suddenly after 65,000 years ago, the archeological record shows radical improvement. Wells believes this was because fully complex language began to appear around that time. In a previous post, I noted that the kind of stone tool Homo Erectus made indicated an IQ of 55, and yet according to Wells, the quality of said tools did not improve until after 65,000 years ago. Does that imply that big brained anatomically modern humans still had an IQ of 55? Why did brain size increase so dramatically if it wasn’t adding anything to our intelligence and if it was adding something to our intelligence, why weren’t our tools improving? It’s almost as if brain size was increasing in anticipation of that sudden mutation that would suddenly allow us to use it, like a sudden flash of lightening. Of course evolution can’t anticipate, unless you believe in intelligent design. As one documentary put it, it was like humans were suddenly touched by the hand of God. As an atheist I reject all that. The question remains: what was the average IQ of anatomically modern humans (AMH) who were not yet behaviorally modern? I have previously estimated that the average IQ of Homo Erectus to be 55 and that the most primitive contemporary human races (i.e. bushmen, pygmies, australoids) have a genetic IQ of 70. If we assume the early AMH people were half way between Erectus and Bushmen, that would imply an IQ of 63, and that this behavioral modernity mutation added 7 points. But 7 points doesn’t sound like enough to produce this huge cultural leap scientists describe. So either Homo Erectus has a much lower IQ than I think or bushmen have a much higher IQ than I’ve given them credit for, or early AMH was much closer to Erectus than Bushmen, despite their modern brain size. Of course there’s also the possibility that behavioral modernity was caused by a mutation unrelated to intelligence (perhaps the position of the larynx in the throat changed improving speaking efficiency) or perhaps it was not a genetic change at all, but a breakthrough in cultural evolution. In other words, we may have had fully human intelligence since 200,000 years ago when AMH first appeared, but it took until 65,000 years ago for culture to evolve to the point of symbolic behavior. But 135,000 years is a long time for an ability to remain dormant. Imagine if we took a bunch of modern normal babies from any human race and had the raised from birth in the jungle by chimps with no access to human language or culture. Assuming some of them survived long enough to reproduce in the jungle, how long would it take for their descendants to show behavioral modernity? I can’t imagine it taking 135,000 years. For comments unrelated to my recent articles, The RISE and fall and RISE of brain SIZE, The genetic IQ and brain size of the 13 races, How smart was Homo Erectus?, and Estimating the IQ of Cro-Magnon Man from brain size and drawings, please post here. Please feel free to post in this thread about any topic at all. Cro-Magnon man dominated Europe from about 45,000 years ago to 10,000 years ago. 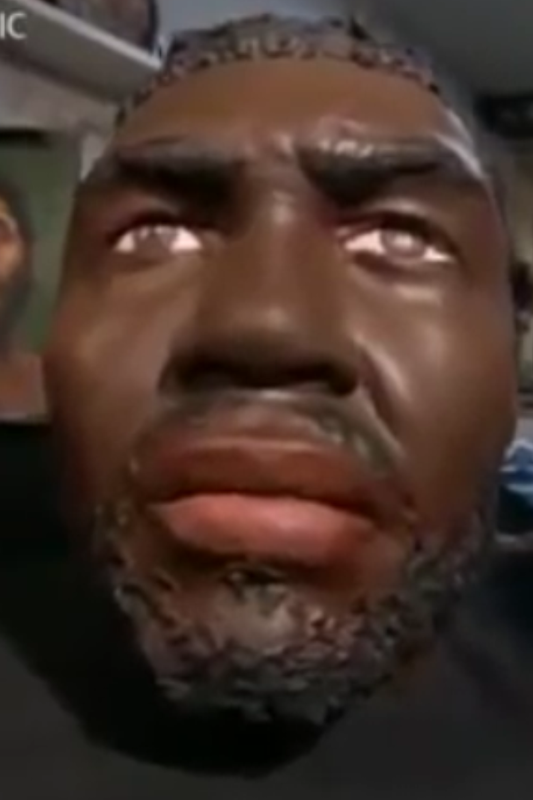 Although they are sometimes considered the first Whites, the white gene pool is more complex given the spread of agriculture from the Middle east and actual white skin is thought not to have appeared until 7000 years ago, so Cro-Magnon’s probably looked liked this. Commenter Milo wanted me to estimate their IQ from their brain size and using my line of best fit, which predicts mean genetic IQ (y) from mean genetic brain size (x) in 13 modern races, I can possibly do so. About 15,000 years ago their cranial capacity was 1450 cc, suggesting an IQ of 92, but by 10,000 years ago, the incredible cognitive demands of surviving ice age Europe had raised their brain sizes to 1518 cc, suggesting an IQ of 99. To validate these IQ estimates, I decided to look at their cave art, with an emphasis on drawings of people, so I could apply Dale Harris’s revision of the beloved Goodenough Draw-A-Man IQ test. The first drawing of a man I found was discovered in South-western France and believed to be 17,000 years old. It’s known as “The Wounded Man”. The Goodenough Harris Draw-A-Man test has a maximum raw score of 73, but because this drawing depicted the man with the head of a bird, not a human, 13 of the items dealing with features unique to the human head could not be scored, so it ended up with a score of 22/60 which I then prorated to 27/73. 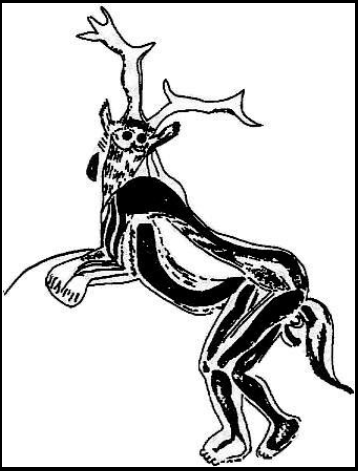 Another mysterious cave painting found in the cavern known as ‘The Sanctuary’ at Trois-Frères, Ariège, France, made around 15,000 years ago is known as “The Sorcerer”. Unfortunately this too is a man-animal hybrid, and the animal features made some of the items inapplicable, in this case, the six items dealing with clothing (items #29,#55,#56,#57,#58 and #59), but out of the remaining 67 items, the picture scored 49, which I prorated into a score of 53/73. 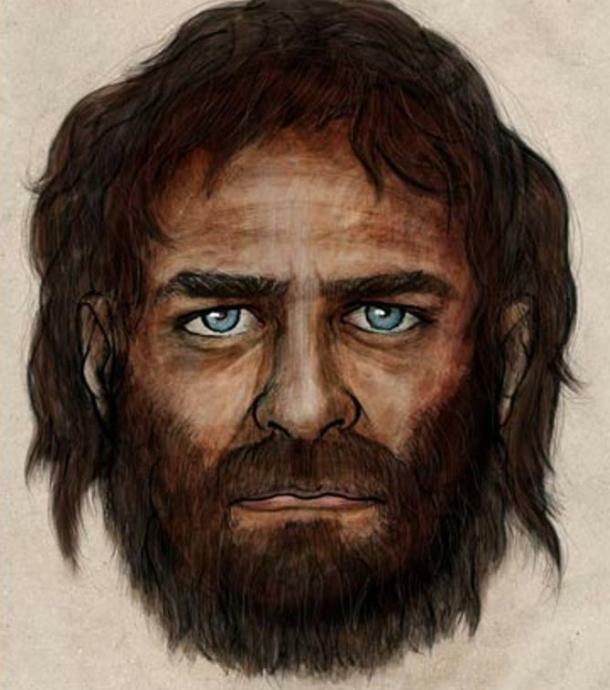 Averaging the two drawings together, Cro-Magnon man scored 40/73 on the Goodenough-Harris Draw-A-Man test. The smoothed mean and standard deviation for U.S. 15-year-olds (considered adult level for the purpose of this test) is 45.2 and 9.83 respectively, so this equates to an IQ of 92 (U.S. norms) or 90 (U.S. white norms). But because these norms were published in 1963, and norms on this test became inflated at a rate of 3 IQ points per decade (Lynn, 2006) until at least 2006, we must reduce this IQ to 77 on modern white norms. Because even the Draw-a-man test is culturally biased, we must do our best to adjust for the stone age environment Cro-Magnons lived in. It’s well known that on typical IQ tests, dropping out of school causes IQ scores (though perhaps not real intelligence) to drop by 2 points per missed year, and research on adopted kids shows that each extra year of education in the rearing parent raises a child’s IQ score by 1.17 points. Although such cultural biases fade by adulthood, as scholars Dickens and Flynn brilliantly noted, this is only true within generations. Between generations these environmental effects are permanent. So considering the average Cro-Magnon had about 13 years less schooling than today’s average white, this would artificially depress his IQ by 26 points. Further, being raised by parents with 12 less years schooling than today’s average white would artificially depress his IQ by 14 points. So these two cultural biases together should artificially depress his IQ by 40 points on a typical IQ test, but because the Draw-A-Man test is only about half as culturally biased as a typical IQ test, we’ll say it’s depressed by only 20 points. You might ask, why, if the Draw-A-Man test is only half as culturally biased as a typical IQ test, does it show the full 3 point a decade Flynn effect. The answer is because the Flynn effect is not entirely cultural, it’s also biological (nutrition) and Performance IQ tests like Draw-a-man are sensitive to nutrition (which Cro-Mangnons had plenty of). So adding 20 IQ points to their IQ of 77, to compensate for the test’s cultural bias, raises them to IQ 97. I realize such corrections are very simplistic, but it seems to give believable results. How smart was Homo Erectus? I’ve posted about the IQ of Homo Erectus before, but in this post, I will refine my analysis in light of better understanding. Experiments suggest that it’s not until a child is seven that she has the mental capacity to create the kind of stone tools Homo erectus created. In other words, Homo erectus may have had the intelligence of a Western seven-year-old. On the WISC-R IQ test, an incipient adult (age 16.9) who performs like a seven-year-old on the spatial construction subtest scores lower than 99.5% of biologically normal members of his generation. In other words, an IQ of about 60. But we should keep in mind that the research on seven-year-old tool making ability was published in 1979. Probably because of better nutrition/health,truly culture reduced spatial skill has been improved by about 0.2 points a year until 2006 (when U.S. nutrition gains seem to have ended). So Homo erectus probably had an IQ around 55 on the most recent culture reduced Western norms (U.S. white norms). According to research cited by scholar Richard Lynn, Homo erectus emerged 1.7 million years ago with an average brain size of 885 cc and by 200,000 years ago, their brains had increased to 1,186 cc. The below chart shows a line of best fit for the average genetic brain size and the average genetic IQ for 13 contemporary human races. If we extend the trend line to extinct Homo species like Erectus, and if we assume Erectus reached their genetic potential for brain size and IQ (early hunter/gatherers living their natural life style seemed to have far better nutrition than all but the most recent First World agriculturalists and Erectus eventually learned to cook its food, digesting even more nutrients) then we can estimate from their brain size that they had an IQ of about 30, when they first appeared 1.7 million years ago, and about 62 when they were finally killed off by anatomically modern humans. On the other hand, based on their lack of tool progress, they never progressed beyond a mean IQ of 55. The period of around 25-10,000 yr ago was the last ice-age and at this time the Caucasoid peoples of Europe and the Near East had brains of approximately the same size as today (Henneberg, Budnik, Pezacka & Puch, 1985). These peoples lived largely by hunting because plant foods were unavailable for much of the year and their meat diet evidently provided them with a high standard of nutrition and enabled them to develop their large heads and brains. Following the recession of the ice age people evolved a new life style living in permanent village settlements with domestic animals and cereal agriculture. But although the new life style was more convenient the quality of nutrition fell and many skeletal remains show signs of rickets and other malformations caused by suboptimal nutrition (Festinger, 1983). For the last 2000 yr data on heights of adult males in Britain have been collected by Kunitz (1987) and by Floud, Gregory and Wachter (1988). The broad trend is that height has been constant at a mean of approx. 172 cm up to the cohort born around 1930. From this date onwards height has increased. It seems reasonable to infer that brain size and intelligence were approximately stable for about 2000 yr up to around 1930 and it is only in the last half century that the increases have occurred. In the economically advanced nations the improvements in nutrition have enabled us to recover the brain size and intelligence levels of our ancestors of 25,000 yr ago. Of course this analysis ignores long term secular changes which may have taken place in the genetic and cognitive stimulation determinants of intelligence, but is nevertheless offered as an approach to the intriguing question of long term historical trends in intelligence. As usual, Lynn provides the most parsimonious explanation. Of course not everyone agrees that agriculture was the cause of falling brain size, because brains shrunk even in sub-Saharan Africa and Australia where agriculture arrived late. While it’s true Australian aboriginals had much bigger brains 10,000 years ago than they do today, there’s seemingly no evidence that their brains shrunk prior to European colonization and the resulting change in diet and life style. Meanwhile the chart below shows little evidence that brain size in Africa shrunk prior to the arrival of agriculture there, several thousand years ago. Thus I think brains shrunk because of malnutrition and disease (agriculture) and not because of backwards evolution. Of course with the end of the ice age, intelligence was not as crucial to survival (even in the tropics where it caused drought) so that may have relaxed selection for higher IQs, creating a dysgenic effect. Also, a warming climate selects against brain size because a big head overheats like a 100 watt light bulb. However ice ages have ended before and brains did not shrink. What was different the last time? Agriculture. For topics unrelated to my 4 latest articles, please post in this thread. Please post about any topic at all. I have to give Trump credit. Despite having virtually no political experience, he went face to face with one of the most experienced and intelligent politicians in America Sunday night, and beat her at her own game. And he was quick on his feet. In an earlier post, I had somewhat facetiously estimated Trump’s IQ to be only 94 (white norms) because he failed to correctly multiply 17 by 6. Perhaps his Arithmetic IQ is only 94, but having beat the 140 IQ Hillary in a debate (something not even Barack Obama accomplished), I assign him a verbal-improvisational IQ of 140. Debating must be a fairly g loaded skill, so Trump’s debate performance, especially against a much more experienced opponent is empirical evidence of IQ. Arithmetic and debating can be thought of two very different kinds of “verbal” subtests and Trump clocks in at IQ 117 when both are averaged . On the WAIS-III IQ test, someone who averages the equivalent of IQ 117 on the various verbal subtest, clocks in at IQ 121 on the composite verbal score (a good proxy for overall IQ). Trump is probably smarter than your typical inheritance billionaire (IQ 114) because he built on his inheritance, but he’s probably not as smart as your typical self-made billionaire (IQ 132). An IQ of 121 is entirely believable. Nonetheless, winning a debate and winning an election are two very different things. It’s unlikely Trump’s strong debate performance will heal his political wounds caused by a release of audio of him saying extremely lewd things. I have long championed the view that intelligence is the mental ability to adapt: to take whatever situation you’re in, and turn it around to your advantage. I fell in love with this definition because it unified the many parts of intelligence (verbal ability, spatial ability, Theory of Mind) into a single system, and because it placed intelligence at its rightful place at the pinnacle of evolution: for all animals have adaptations, but humans dominate, because our adaptation is the ability to adapt itself. But the question becomes, why did humans become so uniquely intelligent? The logical theory that I had always believed, and that Darwin himself believed, was that it was bipedalism. Once we started walking erect, we freed our hands up to make tools and this selected for intelligence, which allowed us to make more tools, which selected for even more intelligence. And yet the fossil record shows intelligence did not immediately follow bipedalism. Indeed our ape ancestors may have been bipedal for nearly four million without showing much of any evidence for increased brain size or intelligence. Then only in about the last few million years did brain size suddenly TRIPLE. How do we explain this? Scholar Rick Potts argues that during the last few million or so years there was rapid climate change in Africa. Massive droughts followed by massive wet periods followed by massive droughts. Lakes would come and go in the blink of a geological eye. One day it dawned on Potts that it wasn’t the particular environment that was selecting for intelligence, it was the constant CHANGE in environment. And who thrives in a constantly changing environment? Those who can adapt. Of course every organism adapts to its environment, that’s the point of evolution, however most organisms adapt by changing their genes over many generations. We also adapted by changing our genes, but we took it a step further: We were selected for genes that allowed us to change our BEHAVIOR, which allowed rapid instantaneous change, far outpacing slow genetic change. Intelligence is just whatever mental abilities are needed to change your behavior as successfully as possible. Those who couldn’t learn quickly and think creatively during rapid change died out, leaving bigger brained primates as the survivors. As an HBDer, I have long believed that adapting to newer colder climates caused whites and Northeast Asians to evolve especially high intelligence, but I had no idea that climate change in Africa was so key to the evolution of human intelligence itself.